The architecture of many of the United Kingdom’s cities was heavily influenced by their history – the battles, conquests and occupations they lived through. Today, we are lucky enough to see what’s left of these turbulent periods when we visit atmospheric ancient cities that are still totally or partially surrounded by impressive walls. 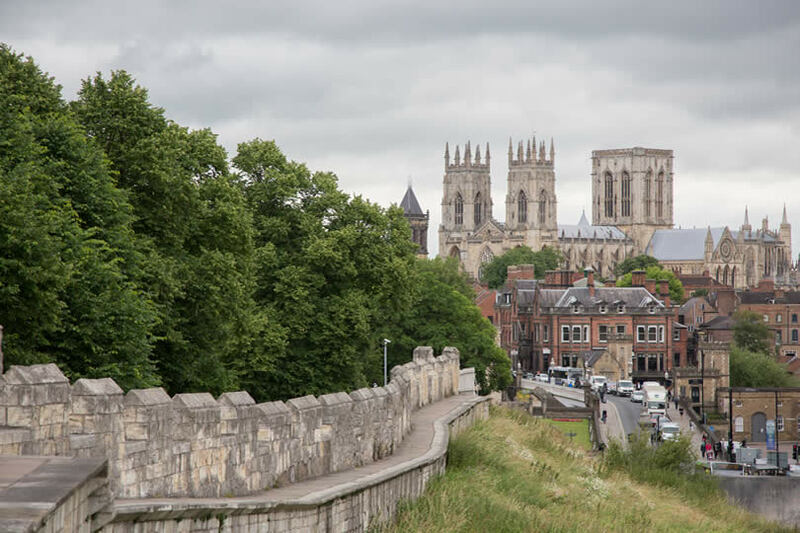 Probably one of the best-known and in many people’s minds, one of the most attractive walled cities is York, a city that lived under several occupations from the Roman to the Viking. 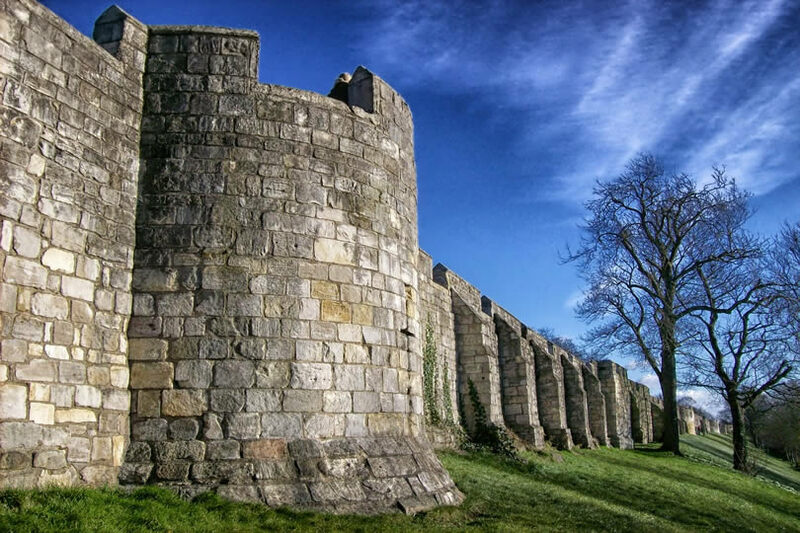 At 3.4 km or just over 2 miles long, these city walls are the best preserved in England and part of any visit should include a walk along their length. From your lofty position, you can enjoy fantastic vistas of both the Yorkshire countryside and the city. While in York be sure to visit the beautiful Minster, stroll the narrow streets of the Shambles, immerse yourself in the smells and sounds of the past at the Jorvik Viking Centre or, if you’re brave enough, take an after dark ghost tour. Lying just a few miles from the Scottish border, defences were always important to Berwick-upon-Tweed. Today the town is a peaceful resort with beautiful beaches and countryside walks but over the years it was besieged, sacked and captured 13 times before falling into English hands in 1482 after which its great walls were built. A walk around the summit of the walls reveals views of the River Tweed estuary and the Royal Border Bridge built by Robert Stevenson. When people say, Chester, the first thing that comes to mind is often its zoo, made famous by numerous TV appearances. 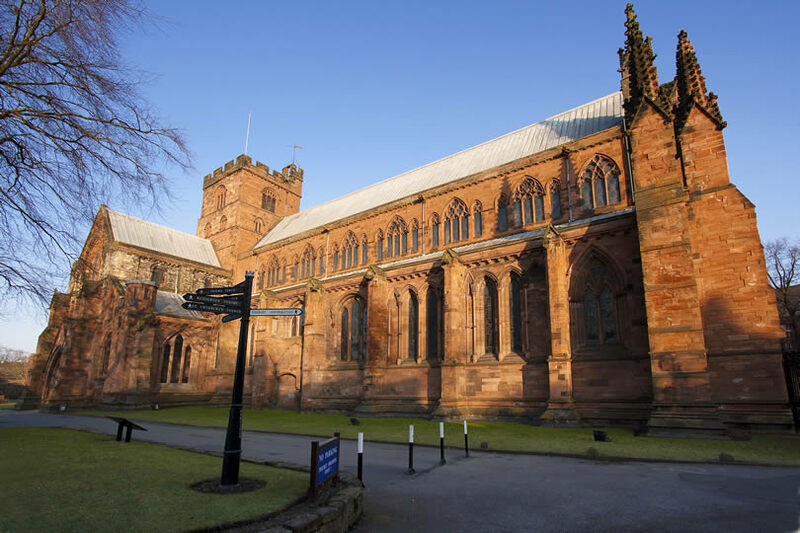 Chester is, however, a town where evidence of its Roman and medieval past can be seen around every corner. The city started life as a Roman fort over 2,000 years ago and today its distinctive red walls remain a striking feature. Did you know, it’s still legal to shoot at the Welsh from these walls using a bow and arrow? Just be sure to do it after dark. Probably an archaic law best ignored! 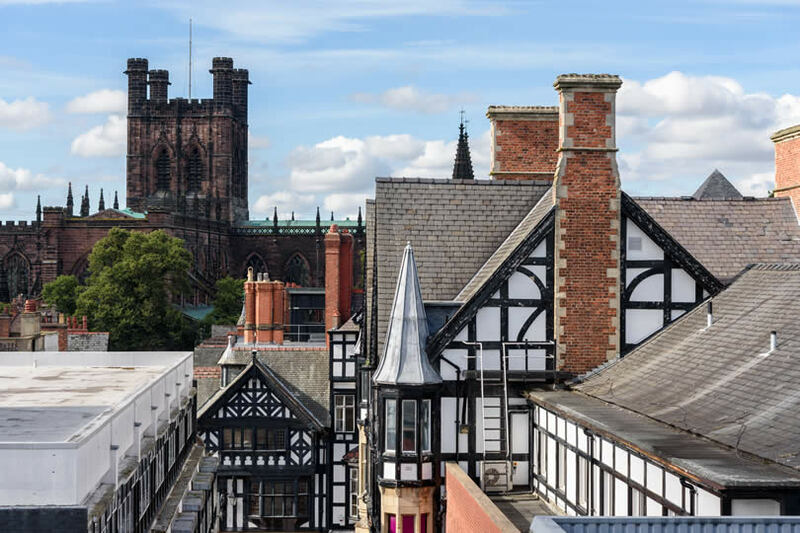 While in Chester browse The Rows, the only two-tiered medieval shopping area to survive in the world. 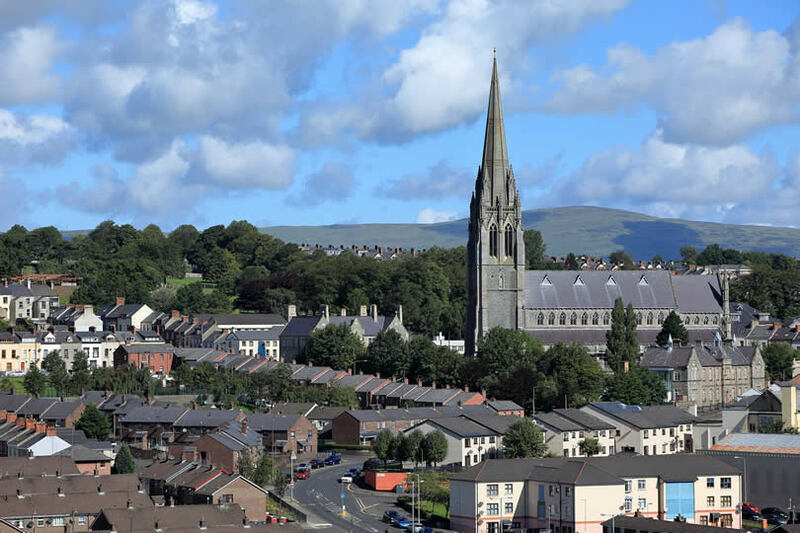 Londonderry in Northern Ireland has managed to retain a complete set of city walls, the only town in Ireland to do so. The walls are also some of the finest in Europe. They were built in the early 17th-century to protect the citizens of Londonderry against invasion and settlement from England and Scotland. The top of the walls, which are around 1.5 km or just under a mile in circumference, can be walked and provide a unique view of the city’s Renaissance streets and architecture. As you walk the walls, you’ll see twenty-four cannon including the infamous Roaring Meg. 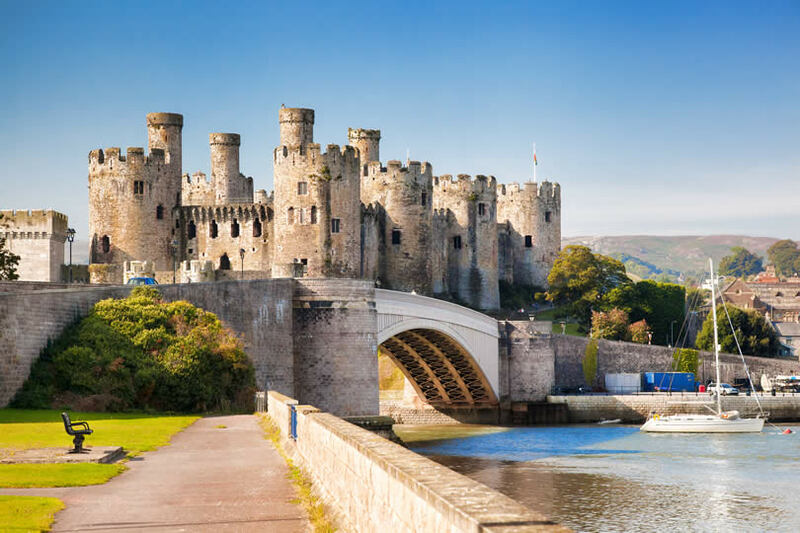 Also in Wales is Conwy and for such a small town it has a wealth of attractions to entertain tourists. Its castle has eight towers each of which gives spectacular views while a further 21 towers are dotted around the walls that enclose the town. These were built by Edward I in the late 13th-century as he attempted to subdue Wales. Also in Conwy is Quay House, the smallest house in Britain, which is open to visitors and the beautiful Bodnant Gardens. Nip across the border into Wales where you can’t fail to be impressed by the walls and defences of Caernarfon. This complete circuit of walls survives to battlement height in many places and includes two twin-towered gates and eight towers. The walls, along with the town’s magnificent castle, were planned by Edward I to create an English power base in northern Wales and defend the Menai Straits. 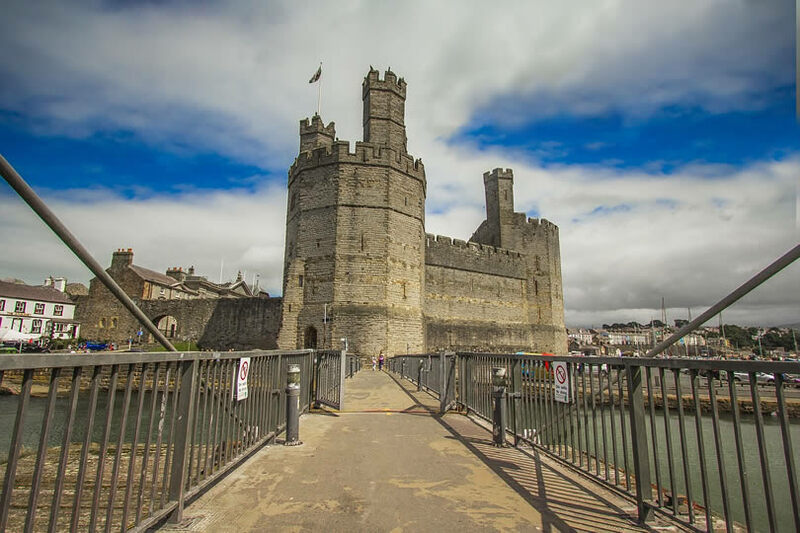 Be sure to explore the castle thoroughly before taking a journey on a steam train from Caernarfon Station and a boat trip to the beautiful Anglesey Island. Carlisle, originally called Luguvallam was another city of huge importance to the Romans and they protected it with a massive wall. 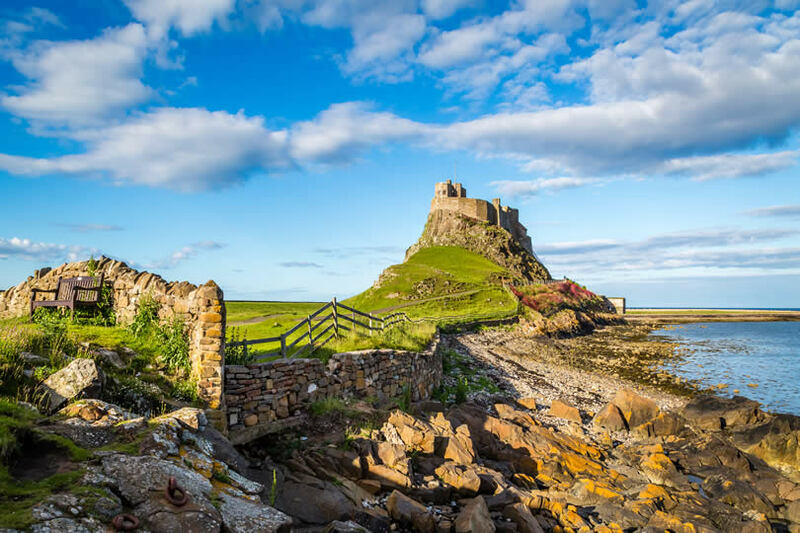 With its vulnerable position near the border between England and Scotland, the walls were maintained in good shape right through the medieval period and into the Middle Ages. Today you can spot sections of wall running alongside the railway but near Carlisle Castle, you will discover a part of the wall that can be walked, delivering panoramic countryside and city views. 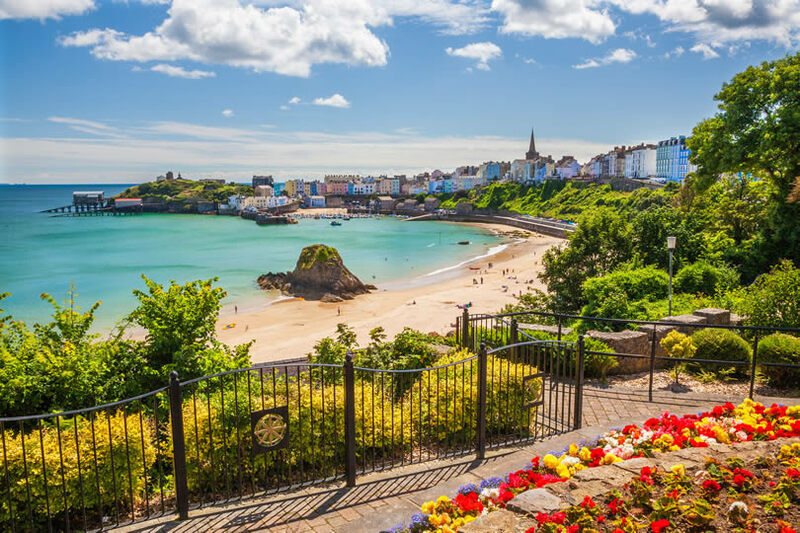 Tenby in south-west Wales is a seaside resort characterised by its cobbled streets and the colourful houses that surround the picturesque harbour. Its hilltop position made it an important stronghold in medieval times and today much of the castle and walls built by the Normans can still be seen. Since the 19th-century visitors have been coming to Tenby to enjoy its family-friendly beaches. 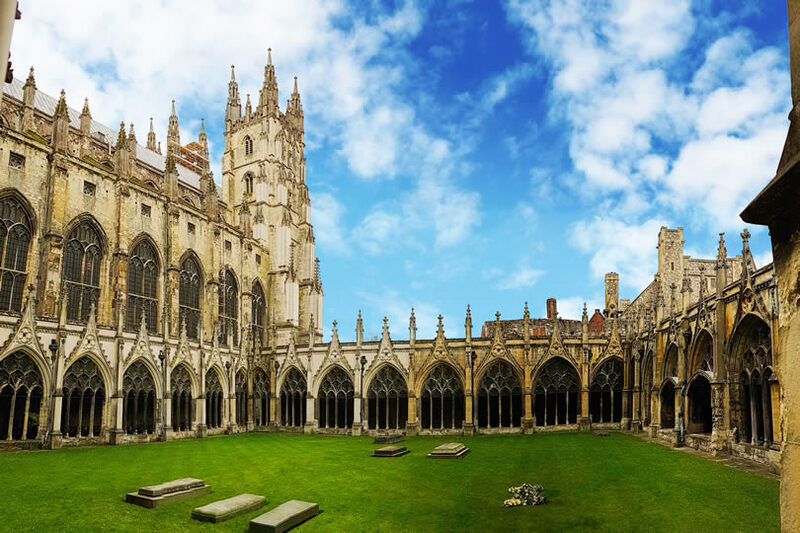 Anyone who read Chaucer’s Tales at school will have heard of Canterbury but the city’s history predates even Chaucer as the Romans built the first city walls around 280 AD. Very little of these remain but long and well-preserved sections of the later medieval walls can still be admired. Originally the walls contained 8 gates, but only one, the West Gate is still standing. The wall’s towers have survived the ravages of history a little better and today 16 of the original 21 can be seen. If you wish to search out a section of the Roman wall, then head to the Church of St Mary in Northgate where at the rear you will find high sections with their original crenellations. 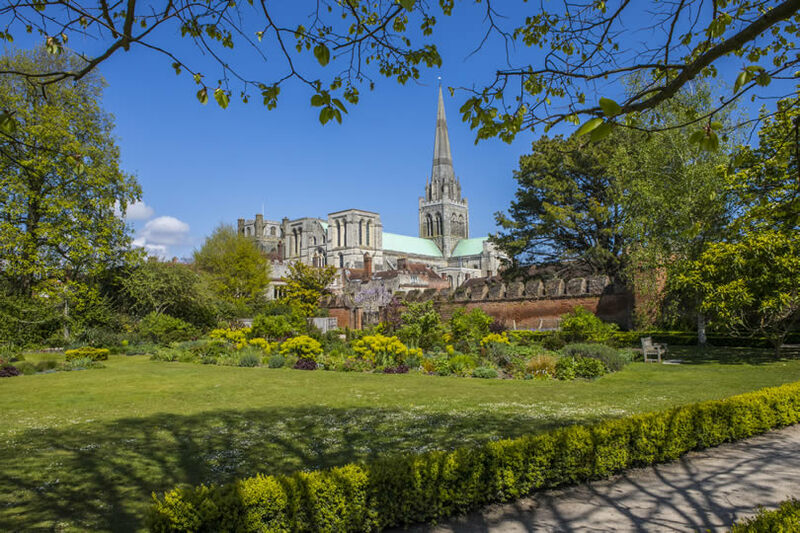 With its pedestrianised heart and the beautiful cathedral that graces the city centre, Chichester is a pleasure to visit at any time. It also boasts an almost intact circuit of Roman walls and defences, much of which is accessible to visitors. Named Noviomagus Reginorum by the Roman occupiers, the city walls and gates were first constructed around 1800 years ago. Pick up a self-guided trail from the tourist office and spend a day exploring these fascinating walls.